Thanks Gauri. I am glad you enjoy my writing. Helps soldier through the writer's block when you know people actually want to read what you write. We are getting crocuses on our school run now. Their colours are yellow, white and purple - it's nice to see. I think we have all been struck by writer's block at some stage. Thank goodness for the inspiration that is nature! I suppose that is one reason for this linky. If nothing else, I have set myself the challenge to come up with at least one creative piece every week. I have so many times like this. I am striving to blog regularly but lots of days esp lately I have nothing. Thankful for photos as they are a great substitute to a rather empty mind. Photos are a nice option, but I am not that great a photographer. (Not saying I am any better as a writer, but I will allow myself to be deluded.) But glad that the photos work for you, Merlinda. Lovely photo! I find that I always completely go blank at the moment as soon as I sit in front of the computer, so frustrating. Oh a beautiful blue sky. I love the colours of Spring. Spring is so beautiful with everything emerging - we have so many snowdrops! Love this poem - such a beautiful way of expressing what writer's block can be like and how nature can help inspire. I love the line about "choking on the stuck syllable"
You write about your writers block very beautifully, I read some bits twice! Beautiful little poem Vai! I can definitely relate to the block!! great shot. 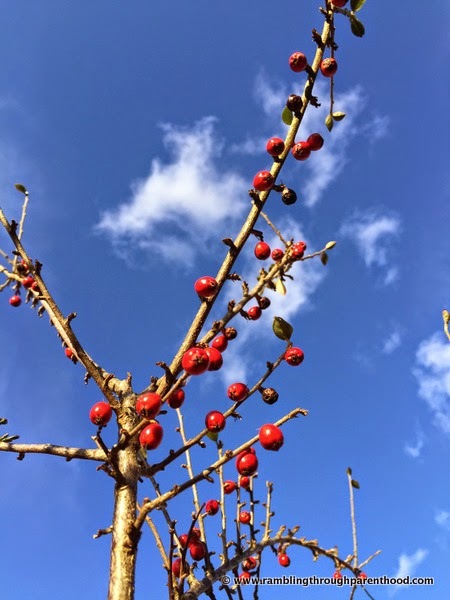 love the blue sky and the very red berries. 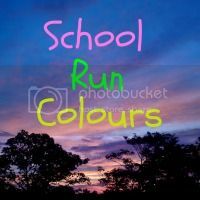 Beautiful colors - refreshing words! I love a blue sky and apparently Easter weekend is going to be very sunny!